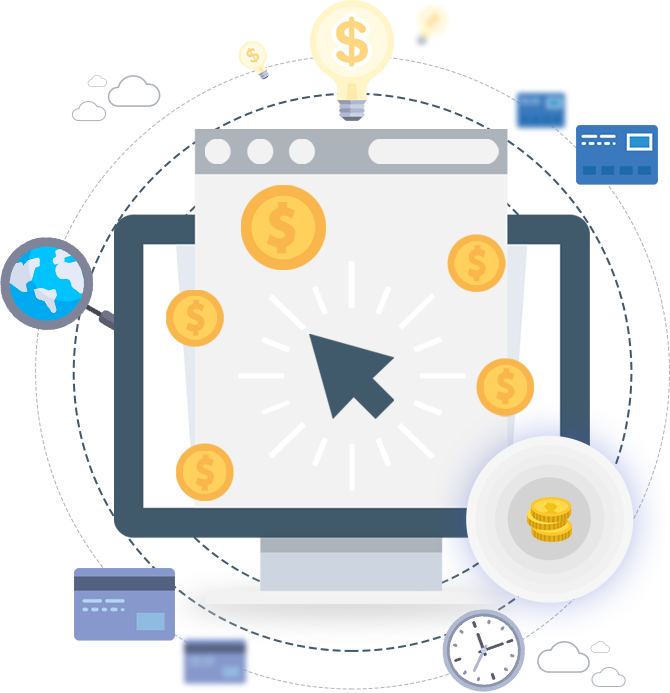 Just Web is results-driven paid digital media company that develops and executes innovative and highly effective campaigns for clients across different industries. Our team consists of top paid media professionals with years of industry experience and unparalleled level of technical expertise. In the sea of digital agencies, our team stands out from the rest by having a custom approach to every campaign that has only one goal in mind – to deliver outstanding paid advertising results for our clients to help them grow and take their business to the next level. Paid social campaigns can become a powerful weapon in your company’s online marketing arsenal – if done right. Our experienced social media marketers will craft and execute a robust campaign that will strengthen your brand online and generate incremental revenue for your company. Remarketing and Retargeting campaigns deploy advanced behavioural and demographical targeting capabilities in order to re-engage the right prospect at the right time. Take advantage of this technology to lower your client acquisition costs and to expand your brand’s online reach. Native advertising blends latest online targeting technologies and smart bidding algorithms together to form a powerful new way to generate incremental traffic and leads for your company. Maximize your ROI through native ads! Conversion optimization services will fine-tune key elements of your website using sophisticated data-driven tests in order to lower your cost per acquisition by converting more website visitors into leads and customers. With commerce rapidly moving into the online space, almost every brand is required to develop an eCommerce paid marketing strategy to stay relevant in 2017. Our in-depth campaign audit services will allow you to uncover wasteful spending and underperforming segments of your campaigns and, at the same time, identify performance improvement opportunities that can maximize your Return On Investment.